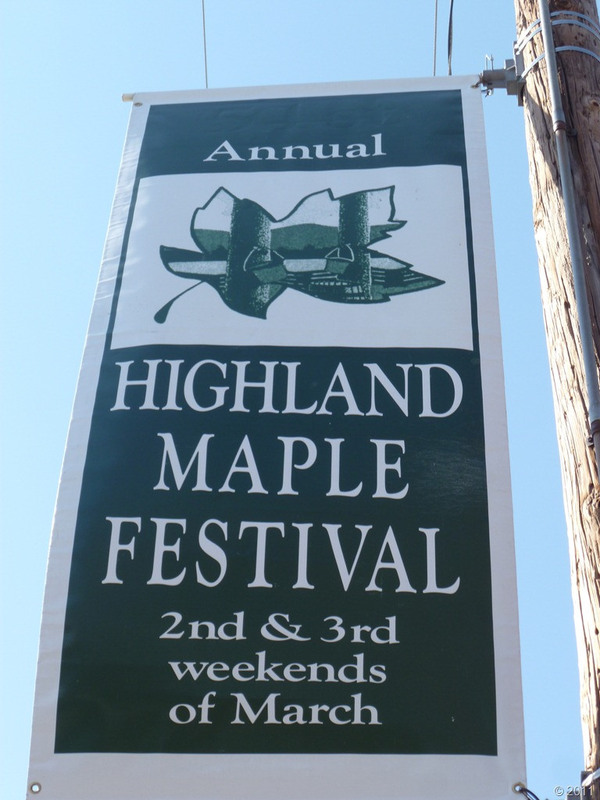 Banner for the Highland County Maple Festival; designated the official state maple festival of Virginia in 2014. Photo by VCU CNS/Flickr (Noncommercial Use Permitted with Attribution). Held on the second and third weekends of March, the Maple Festival has been an annual event in Highland County, Virginia, since 1958. Thousands of visitors are drawn to this rural part of Virginia each year to celebrate the “opening” of the trees and observe the process of maple syrup-making.